PureColor Technology® offers absolute front-lit/back-lit color control, consistency, and accuracy for both flexible and rigid applications. No longer do your clients have to choose between front-lit or back-lit color accuracy. 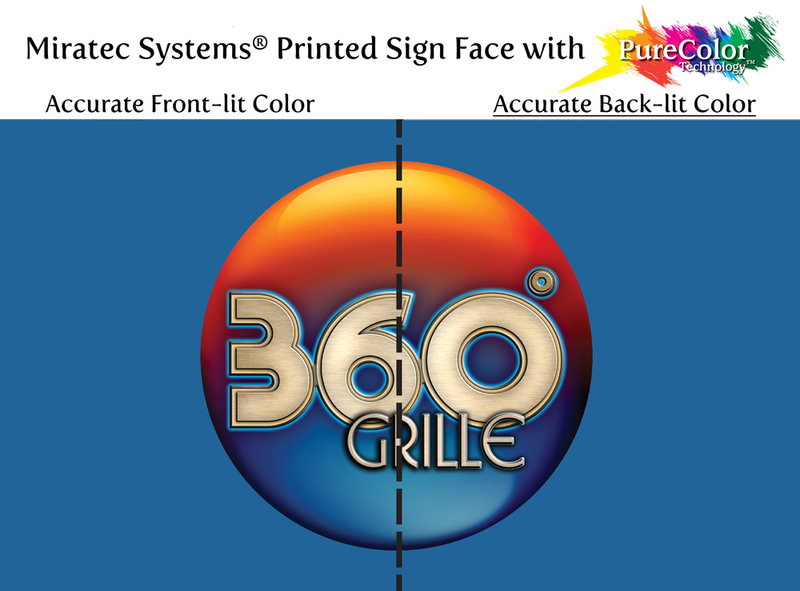 With Miratec Systems’ proprietary PureColor Technology® you can provide your customer incredible front-lit and back-lit color control, consistency, and accuracy. PureColor Technology® makes mirror-image printing obsolete. PureColor Technology® is the latest innovation for back-lit applications where color consistency and accuracy is essential. Sign shops all over the country can take advantage of this improvement and offer their customers better quality at the same competitive prices. 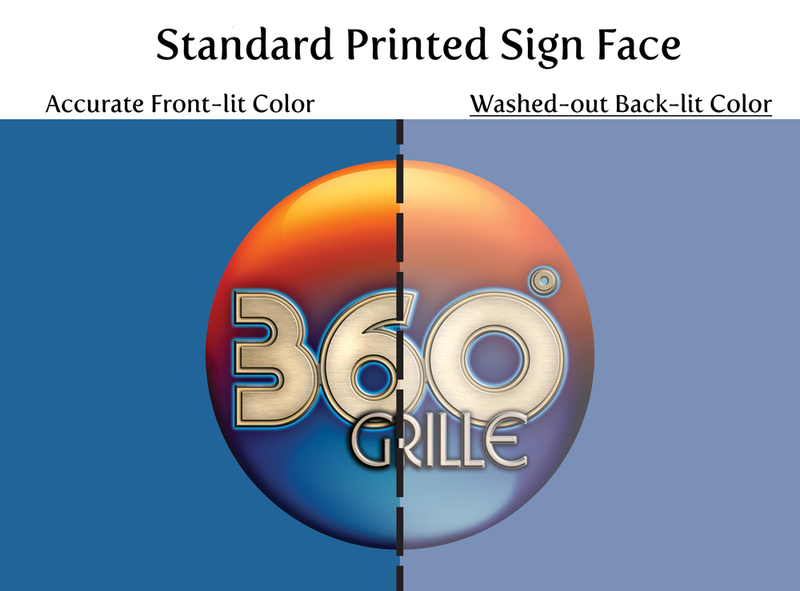 And Miratec Systems® Printed Sign Faces are built to last. That’s why we offer the longest and strongest warranty in the industry, up to 7 years with no pro-rating. Learn more about what PureColor Technology® can do for your company.